We went to Soojung's house today to check out Alice's SleepSafe bed. 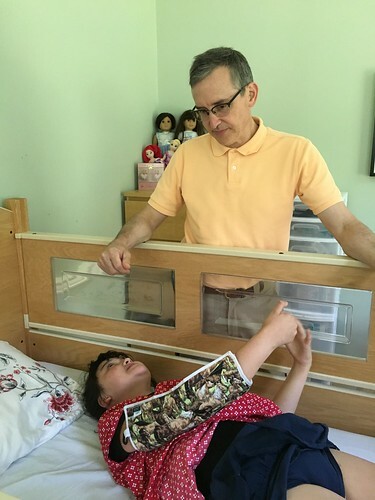 There are a lot of options for the bed - we'd probably get the bed a little lower than theirs, so we don't have to lift Edda into the bed, she can just walk over and sit down on the mattress. We were debating whether we would get a single railing like they have, or you can order a double railing where it goes up one higher so if Edda pulls herself to a stand on the mattress, she still wouldn't fall out. But I guess if she fell in the bed after she stood up, that would be unsatisfactory as well. I'm not sure insurance would even cover the bed, we'll have to see. We also went to check out their fancy pressure-cooker rice cooker. 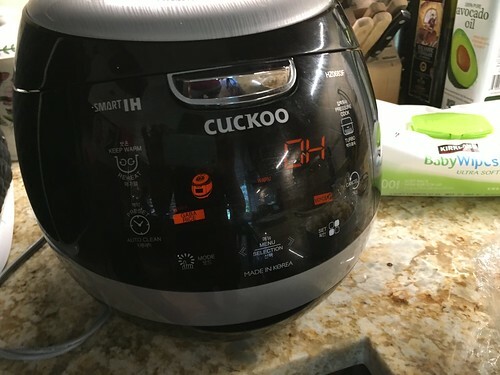 It makes brown rice in about 30 min as opposed to a regular rice cooker that takes a couple of hours. Vince loved it so much he volunteered to chip in some of his birthday money to obtain it. This particular one even sings to you when it's done cooking the rice. Jeremy's interested in this type of brown rice called "gaba rice" which is brown rice which is germinated to make it have a better flavor and texture than regular brown rice. I'd love to switch us to brown rice, but we may have to get the singing rice cooker to make that a reality. 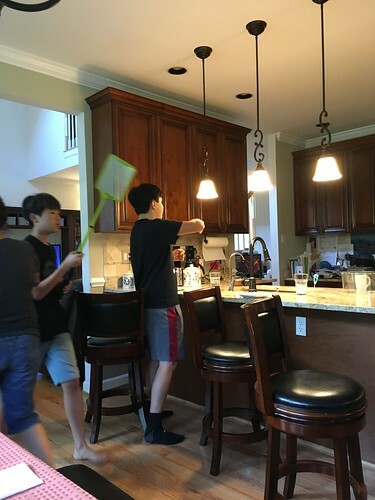 We were all entertained by their electric fly swatter. You can hear the bugs getting zapped. 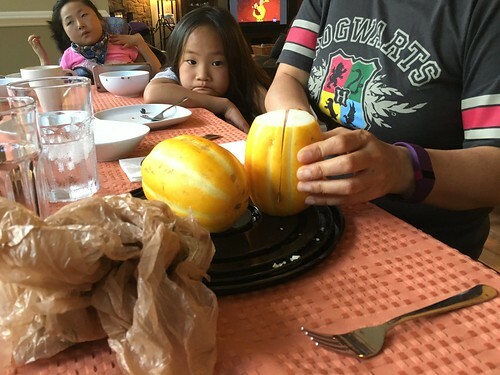 We had a fruit that I'd never seen before - a Korean melon. You see Edda in her chair? She's asleep, ha!